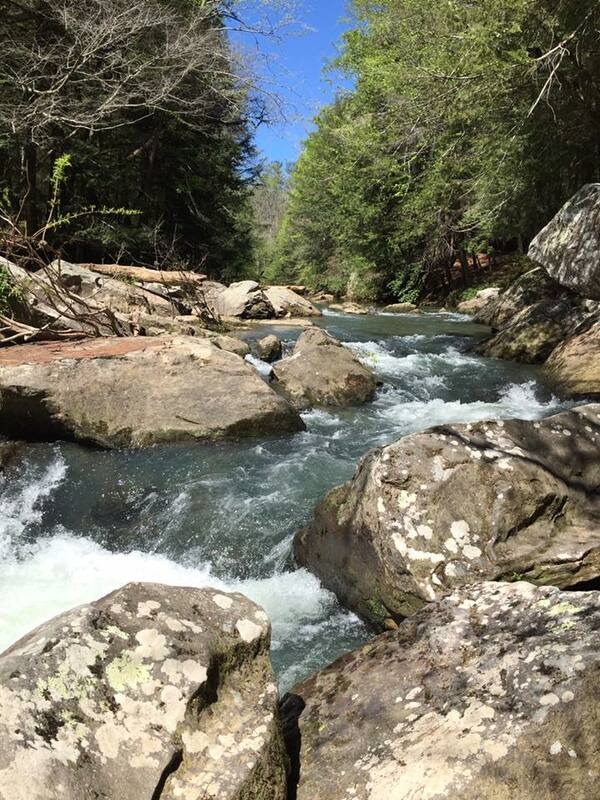 Take a refreshing Wilderness hike in the Sipsey Wilderness with Wild South. Our destination is the rapids on the Sipsey Fork on trail 206. Along the way, we will walk along Thompson Creek under big leaf magnolias, hemlocks and other hardwoods creating a cool canopy coverage. We will also see the notable Ship Rock and Eye of the Needle. The entire hike is approx. 5.5 miles round trip along relatively flat terrain. Hike is rated moderate due to length. Meet at the Wild South office at 9 a.m. From there we will caravan to the Thompson Creek trailhead. Approx. 45 minute drive from the office. Bring lunch, snacks, drinking water (lot…s). Wear hiking clothes and shoes appropriate for the weather (watch the forecast). Anti-TICK protection. Here is our recommendation: To guard against ticks, we recommend permethrin products that you spray on your clothes, not on skin, such as Permanone by Repel or Sawyers. This stuff needs to dry on your clothes for 4 hours before you put them on. It has no smell and it really works, unlike most things. Wild South hikes are free of charge because we want people to get out there and get to know their forest! There will be a donation bucket on the picnic table. All donations directly support our programs. Thank you for your support!